If you have techies on your Christmas giving list this season, you are in luck. There are more new gadgets on the market than ever before – and, you’ll most likely also be able to find an awesome deal on them. Stores begin their sales earlier and earlier every year and leak their ads early so that everyone can work themselves into a frenzy before they begin their holiday shopping. 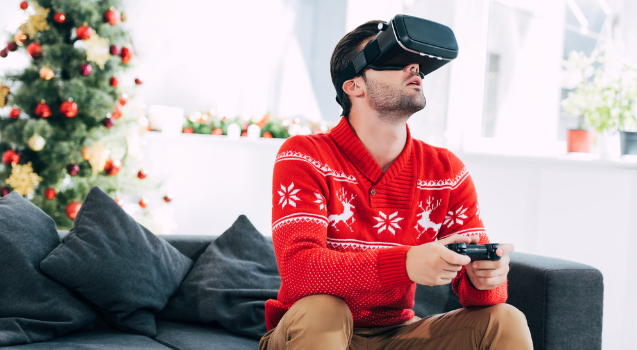 Let’s take a look at some of the most sought-after gifts for techies available in 2018. The gift of voice control is a huge theme this Christmas. With products from Amazon and Google, you can find a voice actuated gadget to control almost anything in your home. You can arm and disarm security systems, view cameras, listen to music, get news and weather updates, and control everything from lights to TVs to appliances. Home automation has arrived in a big way this Christmas. This year seems to have introduced more new kinds of small home appliances than any other year I can remember. Tons of people will be receiving new air fryers, multi-pots, indoor smokeless grills, robotic vacuum cleaners and a variety of other useful household tools that are all technology wonder gadgets in their own right. Most of them can even be voice controlled or ran by smartphone applications or voice control appliances like Amazon Alexa or Google Home. iPods and other music devices are nothing new. However, the way that we listen to music is getting a massive makeover this year. Tons of new Bluetooth devices are available. Almost all stereos allow Bluetooth communication from the smallest boom boxes and standalone speakers to the most expensive sound systems. This is the year for the wireless earbud, too. They have been available for some time; but the selection is much greater, and they are much more affordable this Christmas season. 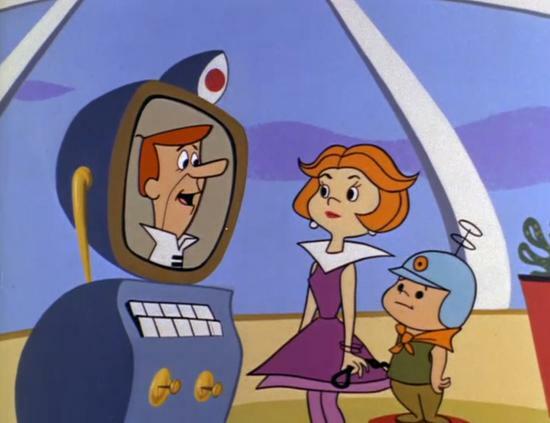 Do you remember episodes of The Jetsons where they would talk with other parties over a video phone? Well, my friends, those days are here. With the introduction of Portal by Facebook, you can do exactly that. It is a fully functioning, voice-controlled video phone. Welcome to the future! Do you have trouble keeping up with your keys, your phone, and other small essentials? Well, that’s a thing of the past with the invention of Tiles. Tiles are little tags that you can place on your keychain or other possessions that you frequently misplace. You can instruct them to ring from an app on your phone, or if you can’t find your phone, you can press a Tile and make your phone ring even if it’s on silent. Never misplace your keys again! Most kids nowadays view records and record players as novelties and leftover bits of nostalgia from a bygone era. However, record players and vinyl are making a comeback for that very reason. There is a huge selection of new record players that you can use to bring grandpa’s record collection back to life. The rise of DIY home security systems is a thing this Christmas. There are several different brands of security systems and cameras that you can purchase and install all by yourself. If you want them professionally monitored, all you need to do is make a phone call to get your service hooked up. You can even view security and doorbell cameras on your smartphone and record video and transmit audio whenever you like. Studies have shown that the dirtiest thing in the lives of most modern people is their smartphones. PhoneSoap is a new phone case that will sanitize your phone and charge it at the same time. Theoretically, this device could help keep you healthy during the time of year when the spread of illness is most common by cleaning the “germiest” thing you own. If you have a techie friend or family member who’s stuck in a dead-end job or anxious to move up the employment ladder, why not give them the gift of a new direction? By enrolling them in a technology or certification class from a reputable training company such as ONLC, you can show you care with more than gifts and bows. You can give them the opportunity and knowledge that will last a lifetime! ONLC has a class or certification for almost every modern technology subject. New abilities can boost or change any tech-savvy individual’s career. TVs are a huge product this Christmas because 4K has finally become affordable for the masses. Great products for those on a budget have never been more affordable. The TCL 6 Series and the Vizio P-series Quantum are two budget-friendly offerings that are just as big and just as nice as TVs costing hundreds more by Samsung and Sony. You can even find a TCL in a 65-inch size for under a thousand dollars. The new Petcube Bites Pet Camera will let you see, talk to, and even treat your pet from your smartphone. You can schedule a treat or dispense them manually from anywhere. Pets with separation anxiety issues don’t have to feel alone anymore. You can also correct them if they’re in the middle of bad behavior. The Cubii Pro Under Desk Elliptical is Bluetooth enabled and syncs with Fitbit and HealthKit. You get adjustable resistance and assembly is a snap. It sits under your desk, and you can burn up to an extra 150 calories per hour. It even hooks up to a mobile app that will track strides, calories, distance, and time. It’s also whisper-quiet so that you don’t disturb your cube or office mate. Work out while you work! These are only 12 of some of the most entertaining, thought-provoking and helpful gadgets available this Christmas season. It may be the greatest technologically advanced Christmas in history. Not only are there all kinds of new innovative ideas and products, but tech has never been more affordable. Merry Christmas – may your tech be easy to use and your battery last longer than you need it!